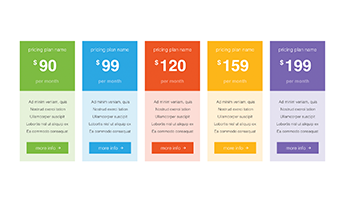 Pricing Tables for PowerPoint - Download Free Now! 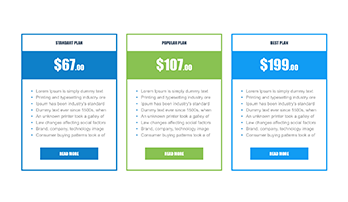 Price tables are important tools for companies that make advertisements and sell products or services either on their website or on the market. The main criteria of the tables are that they should carry the most important information, be simple with attractive design, clearly distinguish between available functions, options and costs, so that customers can conveniently choose the right plan. 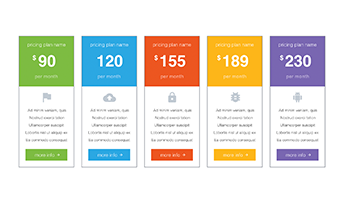 On Pricing tables PowerPoint Template section, we gathered our ready-made pricing tables with modern unique design. 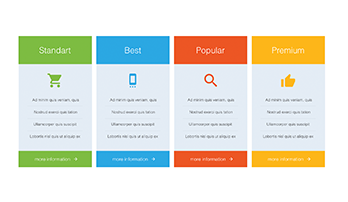 Some of them have a minimalistic design, others have a dizzying set of options, and still the rest of them are distinguished by creative approach to work and design. 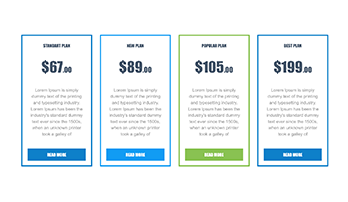 Generally speaking, everyone will definitely find here a pricing table that will match his/ her needs. 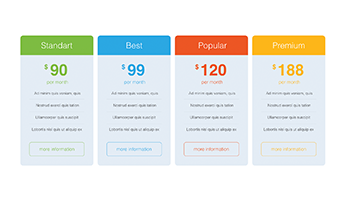 These pricing tables are widely used by businessmen, marketers and other employees. If you want to mention the cost of your services and products, promote some idea, make a business proposal, or present a startup – one of these slides will help you to briefly specify the price, main advantages and functions. In other words, these tools are the best assistants if you’re going to speak about the price of goods, services, ideas, etc.